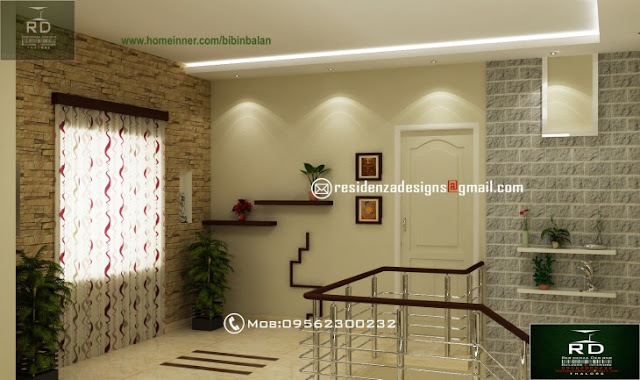 a Staircase Living room Design By Residenza Designs Thalore Thrissur.This first floor living room is where stair case ends.Mr.Bibin has done this interior works for their client Mr.Sunil. 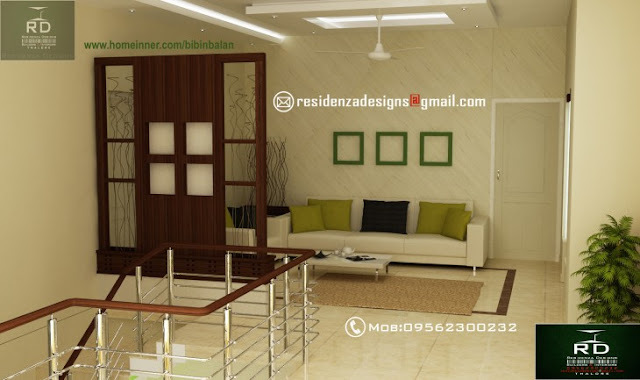 If you like this House design idea theme - "Staircase Living room Design By Residenza Designs" , do take few seconds to share with your friends and relatives . Let them know what you like.